The Author retains all rights of ownership for his or her work. Writer’s Relief will not possess any rights of ownership of any material belonging to the Author and will function solely as the provider of services including but not limited to formatting, file conversion, cover design, and promotional advice. The Publisher of Record will be the Author or the Author’s designated entity, not Writer’s Relief. The Author warrants and represents that he/she is at least eighteen (18) years of age. If the Author is under the age of eighteen (18), the Author’s parent or legal guardian warrants and represents that he/she is executing this Agreement on behalf of the Author and assuming all liability for the warranties and responsibilities set forth herein, including guarantying payments due under this Agreement. Moreover, the Author warrants and represents that the work does not contain plagiarized, hateful, legally obscene, libelous, illegal, or defamatory content. The Author acknowledges that failure on his/her part to meet stated deadlines will result in a delayed publication date and may void this contract. Writer’s Relief will use Kindle Direct Publishing (KDP) to create both the paperback version and the Kindle version of the Author’s submitted work. Writer’s Relief will use Barnes&NoblePress to create the Nook version of the Author’s submitted work, if that is included in the chosen package. The Author may request the use of IngramSpark instead of KDP to create the paperback book but understands this carries additional fees. It is the responsibility of the Author to read and agree to KDP’s, and/or Barnes&Noble Press’s, and/or IngramSpark’s Member Agreements, as these agreements exist solely between the Author and KDP/Barnes&Noble/IngramSpark. The Author authorizes Writer’s Relief to accept the aforementioned third-party agreements on his or her behalf. The Author acknowledges and understands that a) any digital images Writer’s Relief may use to create the Author’s custom book cover may be rendered using the color model RGB (red, green, blue); b) that once printed, all images become rendered in the color model CMYK (cyan, magenta, yellow, black); and c) that as a result, some printed colors may not be an exact match to their digital counterparts. Writer’s Relief represents that it will do its best to preserve the integrity of the colored images, but there may be some discrepancies that will be out of Writer’s Relief’s control. The Author acknowledges that such production process may result in some discrepancies and agrees that any such discrepancy does not void this Agreement or create any liability on the part of Writer’s Relief. Writer’s Relief will make every reasonable effort to make the formatting of the MOBI/EPUB edition reflect the format of the print edition; however, some design elements are not supported in the MOBI/EPUB format. Writer’s Relief is not responsible for making changes to the design of the MOBI/EPUB edition. 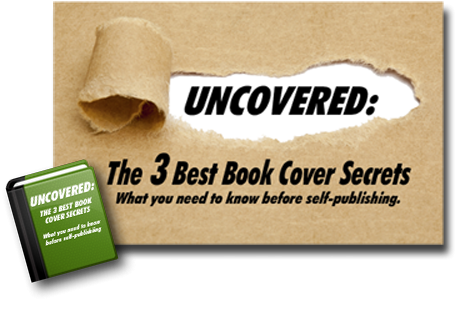 Writer’s Relief will send galleys of the print book and/or the e-book. The Author’s written approval of the galleys represents the Author’s acceptance of full responsibility for the format and contents of the print book and the e-book. If the Author chooses not to use Writer’s Relief’s proofreading service, the Author indemnifies and holds Writer’s Relief harmless for any errors, discrepancies, misstatements or any other defect that a proofreading process would normally identify in any manuscript or published material. For the agreed-upon fee, Writer’s Relief shall provide one round of revisions following the Author’s review of the galley. Additional revisions will incur fees. The Author warrants and represents that the content of the submitted work is in its final form, and acknowledges that any pre-publication content changes requested after initial submission of the work will be made by Writer's Relief for an additional fee of $100 per hour. The Author shall pay Writer’s Relief one-half of the agreed-upon fee prior to the commencement of the work. The final payment shall be due upon the Author’s final approval of the galley. The email entitled “Self-Publishing Order Confirmation” outlines the fees and publication schedule. The Author acknowledges receipt of this email and agrees to the fees and schedule therein. Writer’s Relief shall provide complimentary print copies based on the package chosen and the PDF file of the final version of the book and/or the EPUB file of the e-book to the Author or his/her designee. Royalties will be paid directly to the Author by KDP and/or Barnes&Noble Press and/or IngramSpark. Any royalty Agreement shall be directly between the Author and KDP and/or Barnes&Noble Press and/or IngramSpark; Writer’s Relief is not a party to any royalty Agreement and shall have no interest in or claim thereto. If the Author requests assistance that is not included in the package prior to the completion of the publication project, Writer’s Relief will provide such assistance at the rate of $100 per hour. If the Author requests assistance after the publication project is complete, Writer’s Relief will provide such assistance at the rate of $100 per hour. Writer’s Relief shall have the right to terminate this agreement with immediate effect at any time prior to publication date due to, but not limited to, delays created by Author, inaccuracy in information provided by Author, or other breaches of obligations or representations. Appropriate refunds will be given to the Author based on work already completed at time of termination. The parties agree that in the event of any dispute between the Author and Writer’s Relief, the Laws of the State of Delaware shall apply and that in the event of any litigation concerning this Agreement, the parties agree that the Superior Court of Delaware, Sussex County, shall be the proper venue. The parties have entered into this Agreement freely and voluntarily. The parties have had the assistance of independent counsel prior to entering into this Agreement, or not having had counsel, waive the right to have counsel prior to entry into this Agreement. This is the entire Agreement between the parties. Any amendment to this Agreement shall be in writing and signed by both parties.